Carnival Australia have joined forces with the Sydney Business Chamber and Committee in backing proposed plans for a fast cable car across Sydney Harbour. 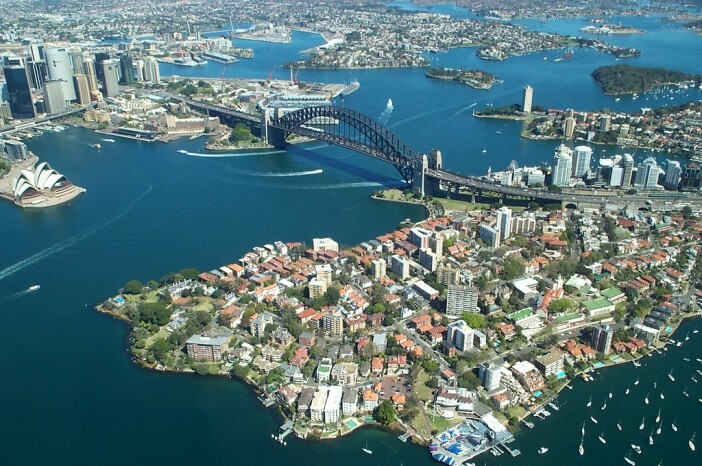 The proposal is being backed by a number of key Sydney business leaders, who see the cable car development as an innovative new way to bring increased investment to Sydney’s historic harbour. The fast cable car, which will be built directly across Sydney Harbour, could prove a vital transport link for future commuters working in the urban development site of Barangaroo, as well as a tourist attraction to rival the Harbour Bridge. Carnival Australia has entered discussions with Harbour Skylink developers to have a station erected at its main White Bay terminal shipping port – which would allow easy access to the city for cruise passengers. Ann Sherry, chief executive of Carnival Australia, said that current bus routes to the terminal suffer from heavy congestion, and that this often results in cruise passengers being delayed. Developers say the cable car will be capable of carrying passengers from White Bay to Barangaroo in five minutes, with five stops planned along the route – including one at the White Bay Power Station and another in Pyrmont. David Pitchford, chief executive of UrbanGrowth NSW, said the proposal was “a perfect example of the innovation and entrepreneurship we want to introduce into the transformation of the Bays precinct”. Starting at Rozelle Bay, the proposed Harbour Skylink plan will serve five stations along a 3.4 kilometre stretch – making it easier than ever for commuters and tourists to travel across Sydney’s bay area. If approved, developers say the new cable car could be complete in as little as 18 months; a much quicker turnaround than other proposed bridge and tunnel projects. Image sourced via Wikimedia Commons and Flickr Creative Commons. Credit:Rodney Haywood, Pedro Szekely and Bruce Tuten.